Earlier this week Nintendo said it wouldn't do a pre-conference keynote event at E3, though it'll still have a booth there. 2K Games isn't even doing that. A post on the publisher's blog says they won't be on E3's floor. 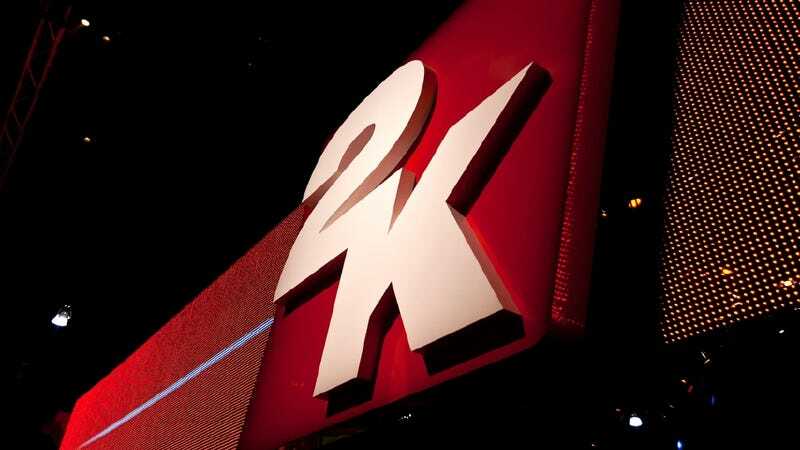 "While 2K will not have a booth on the show floor at this year’s E3 conference, we will have a lot of great news coming your way this spring," writes Ronnie Singh, a digital marketing director for the label. "Stay tuned for our live gameplay and event broadcasts to see the latest gameplay from our upcoming titles." Singh goes on to refer people to 2K's Twitch and YouTube channels. 2K also has a robust social media presence (they've gotten NBA 2K to trend in its launch week each of the past three years) so it's clear they think they can get their message out better and cheaper this way. Besides, gamers don't attend E3. I'll miss the big red LED 2K sign, though, and the Sports Bar inside the booth. They had an enormous Borderlands statue out front last year (which was made for the preceding PAX East) and brought in a destroyed bus where I did an interview for Spec Ops: The Line. The set for what was then known as XCOM was outstanding. All of that stuff costs money, and none of it is seen by those who buy the games that make them money. That XCOM FPS Isn&apos;t Dead. And It Isn&apos;t an FPS Anymore. E3's relevance has been bemoaned already. Last year's was the least interesting expo I've been to in my short history of covering it. With a console maker reducing its E3 presence and a major publisher bowing out altogether, the trend suggests the industry values expositions more, like Penny Arcade's, like Comic-Con, where fans actually can see all this neat stuff, and not have it reported to them.